It's official-- whether you enjoy riding horses and hanging out in a barn or NOT, riding boots are a footwear must-have. With so many styles and colors of boots to choose from, one must use discretion. Boots are a long term investment that should last you several years at minimum. Follow my 10 Commandments for Wearing Brown Boots. 1. 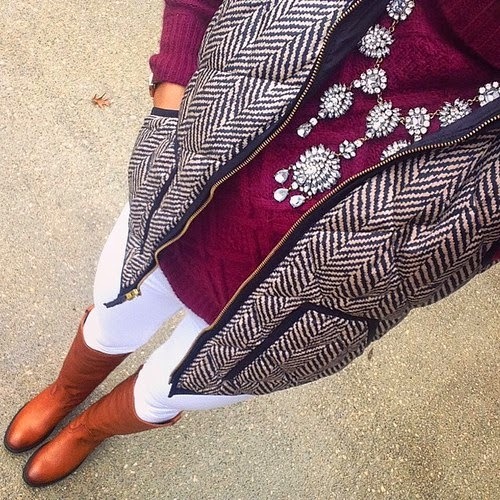 You don't need to have black & brown boots! 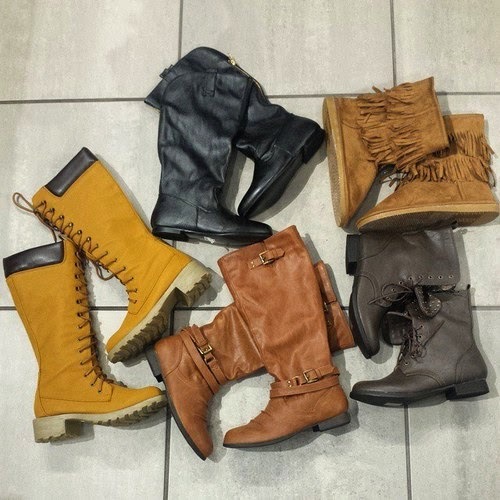 You only need 1 pair of brown boots that can be worn with black/navy/brown/tan/gray/every color of the rainbow. Therefore, consider doubling your budget. 1 quality pair & 2 cruddy pairs. 2. Invest in REAL leather. You're taking the time to find the perfect pair of boots, so you want them to last a long time. And you sure don't want the stinky feet that come with wearing plastic boots. You might as well wrap your feet in Saran Wrap and call it a day. 3. Never wear long dresses or skirts over boots. One word: Dumpy. Unless you're a member of the Duggar family, this is not okay. This will age you 15-20 years. See the photo to the right. 4. Make sure there is a zipper. Remember how we want these boots to be timeless and long-lasting? Well pregnant ladies always seem to have huge calves and swollen feet. Just saying. Plan ahead. 5. Tightness at the ankle creates a big foot. If the boots are noticeably tight at your ankles, you'll get the "clown" effect where your feet look about 2 sizes larger than they are. Think about how Converse high-tops make your feet look bigger. 6. Get smooth leather, NOT suede. Suede is confined to fall and winter, whereas smooth leather transitions better into spring and summer. Smooth leather also holds up better against the rain and snow. It's easier to condition and repair. 7. If you have small calves, beware of the "fisherman waders" look. This is when it looks like your legs are swimming in your boots. The boots cluck against your legs are you walk. Over time the boots begin to scrunch down. Tip: Shop around for boots with a circumference of 12-14" versus the average 14-16". 8. 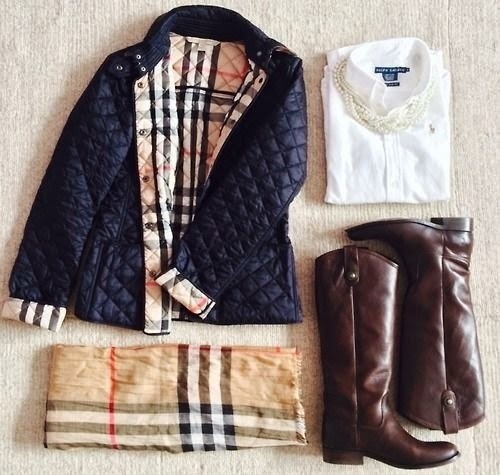 Riding boots are neither rainboots nor snowboots. Would you put your leather jacket through the washing machine? No! Then I'd hope you wouldn't go tromping through puddles in leather boots. 9. Avoid studs, buckles, and hardware. Smooth and simple is best-- it won't detract from your outfit. You want timelessness. Not to mention, excessive detail says, "I'm 30 years old, and I still shop in the juniors department." 10. Choose Cognac, not Chocolate Brown. This is one of the biggest mistakes people make. See the photos below. The cognac boots on the LEFT have a reddish undertone, while the dark chocolate brown boots on the RIGHT have cool undertones. 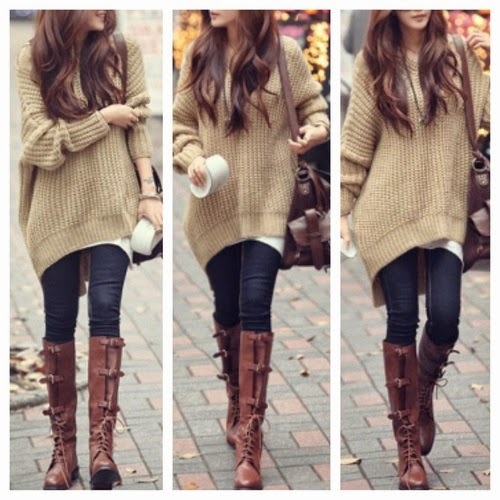 The combination on the left (cognac boots) pairs much better with black leggings, and you will be able to wear these longer into spring, too, because they also compliment bright colors and pastels much better than chocolate brown.